Much has been made of Dark Souls II&apos;s heavily-downgraded visuals in the weeks following its release. The game looked practically next-gen when it was showed off at E3 last year, complete with expressively dynamic lighting and a torch system that would force players to wander through very dark environments a la the original game&apos;s pitch black Tomb of the Giants, unlike the retail version&apos;s graphics. Now an anonymouys source close to the project has more or less confirmed that the game&apos;s drop from next-gen-looking fidelity to something much more basic was because of framerate issues that made the game virtually unplayable. 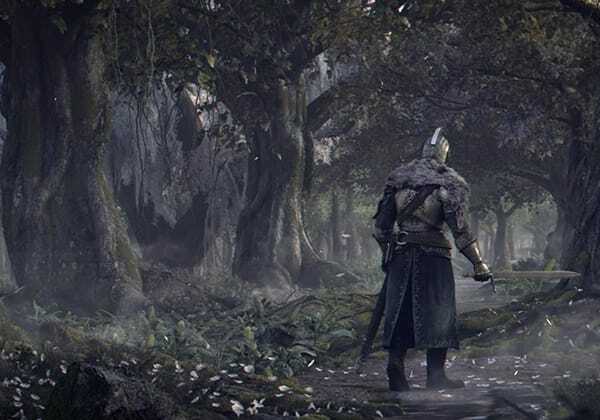 "Factually, the early builds played like Blighttown the entire game," the source told Forbes in a recent interview, referring to a section in the original game where the framerate chugged. “I sincerely don’t think they intended to deceive, but in the end they sacrificed a huge amount of graphical fidelity at the very end of development because they couldn’t resolve the framerate in any other way." The upcoming PC port of Dark Souls II has much higher specs that are closer to next-gen, though no PS4 or Xbox One port has actually yet been announced. But it&apos;s important that people know the truth, Forbes&apos; source said. &apos;“I want people to know the truth. I know a lot of people just feel lied to, but I think the reality is a bit different. It doesn’t mean they handled it properly, but I think they made the only decision they COULD make in the end," they said.